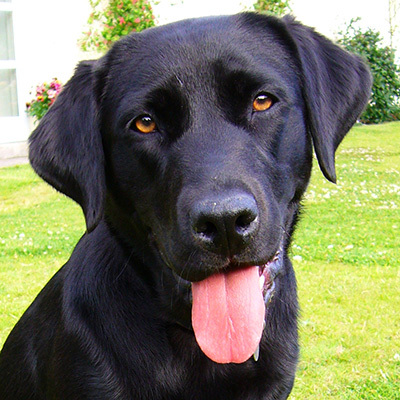 Many years ago, a friend’s beloved black lab was diagnosed with cancer. It was a particular kind of cancer that was proven to be treatable in dogs, but the treatment had severe side-effects. Doctors can tell human patients, “There’s good news and bad news. The bad news is it will feel like this treatment is killing you. The good news is it will actually save your life instead.” You can’t communicate that to dogs, though. Dogs receiving treatment gave up on life and died in distress in such great numbers that veterinary best practice evolved to making dogs comfortable as long as possible before euthanizing. Dogs couldn’t bear the journey without some concept of the destination. They couldn’t endure without hope. The destination can be a source of hope for us, too. When we have an idea of where our life is heading, we can put obstacles and hardships into perspective and persevere. The destination also gives us hope when we look inward to determine the course correction we need. Looking inward is difficult. Confronting the fact that we veered off course can be painful, and the pain can arise in a number of ways. Here are three of them. might morn the lost opportunity to put a little sock on a little foot every morning or to teach someone how to eat an apple. Facing what is lost is one way we encounter pain. truth. In an effort to rationalize our actions to ourselves, we erect barriers to truth. We hold our victims culpable in some way for our actions against them. When we release ourselves from the self-defense pretense, we have an unobstructed view to the pain we caused others. Feeling their pain, compassion, is a natural response to confronting this truth. God’s pain: Imagine being in a relationship in which you’re ignored. Your continual demonstration of love and support is overlooked or taken for granted. Your intervening help saves the day over and over, but your partner acts as if she had it under control all along and you didn’t have anything to do it. You work hard to dream up the perfect gift and are excited to give it, but it is left unopened, not even important enough for her to bother unwrapping. What kind of relationship is that? It is how I treat God. God, in his infinite compassion to all, experiences all the pain—the pain someone caused me, the pain I caused someone else, the compassion I feel for the one I hurt. Perhaps most significant is what God feels when we fail to hold up our end of the relationship with him. When we come into a full realization of the impact our choices have on our relationship with God, we grow into compassion, reciprocal compassion, for God. This is a special kind of pain. To feel the pain God feels over you is to grasp just how much he loves you. It is a big step into intimacy with God, and it is our greatest source of hope. Join the conversation. What hope sustained your honest look inward? This entry was posted in Spiritual Growth, Spirituality and tagged compassion, course correction, Elul, hope, introspection, life change by Stephanie Walker. Bookmark the permalink.